Bananas at Pololu, original painting by Deborah Thompson. Deborah Thompson's paintings have been sought out and acquired by numerous private and public collectors throughout the United States, Asia, and Europe. She is renowned for her signature island landscape paintings with detailed tropical botanicals. 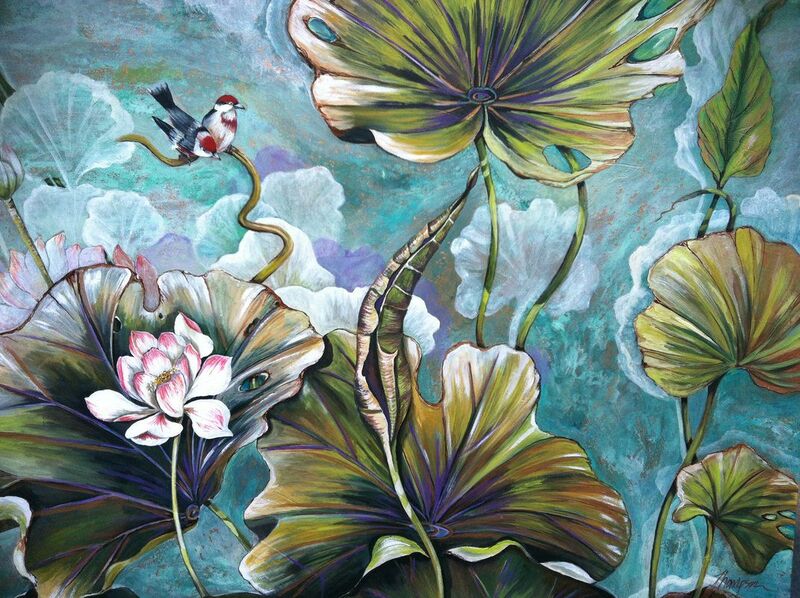 Her work has a distinct and recognizable style that evokes timeless Hawaii with a vintage flair. 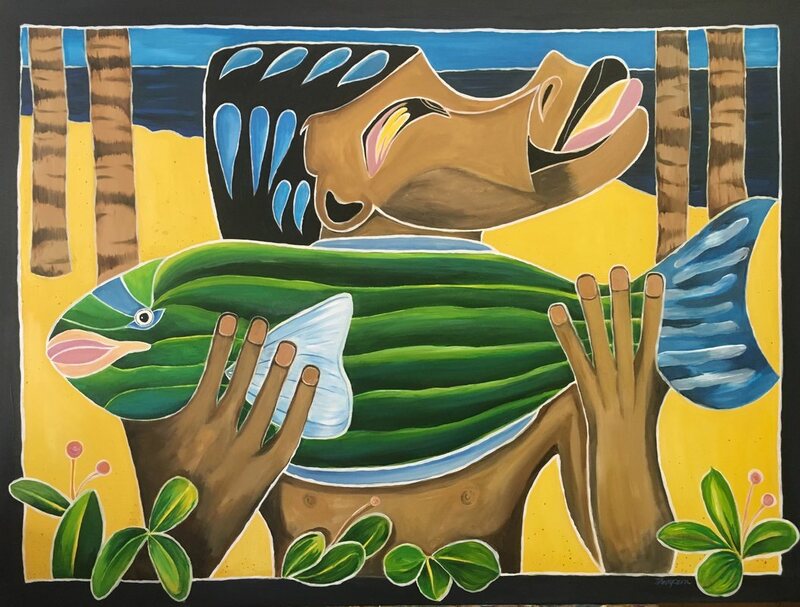 Deborah also paints on on objects like ukuleles and surfboards, creates abstract works, murals, and 3-D sculptural plaster murals that call to the natural beauty and wonder of her surroundings. Deborah's paintings can also be found at Genesis Gallery at the Queens' Marketplace at Waikoloa on the Big Island of Hawaii. Deborah Thompson's visual repertoire has a wide variety of styles and she has created many different series. Deborah also creates private commissioned paintings representative on a wide range of subject matters.